A few months ago, I was invited to contribute to the awesome online humor magazine Long Awkward Pause. Here’s my latest entry! Some friends were coming over for dinner and I had a major case of writer’s block. Or I guess that would be cook’s block, but that sounds like glorified cutting board. So let’s just call it I-had-no-freaking-clue-what-to-make block. This was about the same time that I was working on my Peyton Manning fashion post. I wrote that over the course of several days and every time my wife saw me on the computer I was looking at pictures of hot male models. And after the post came out, some friends gave me some crap about how I should join the crew of “Queer Eye for the Straight Guy.” Of course, I had to correct them about that as the show’s been off the air for 7-8 years. I wasn’t helping my case. So it was perfect timing that I came across a recipe that just oozed with excessive testosterone. It’s a recipe for a big hunk of red meat and uses a BLOWTORCH! 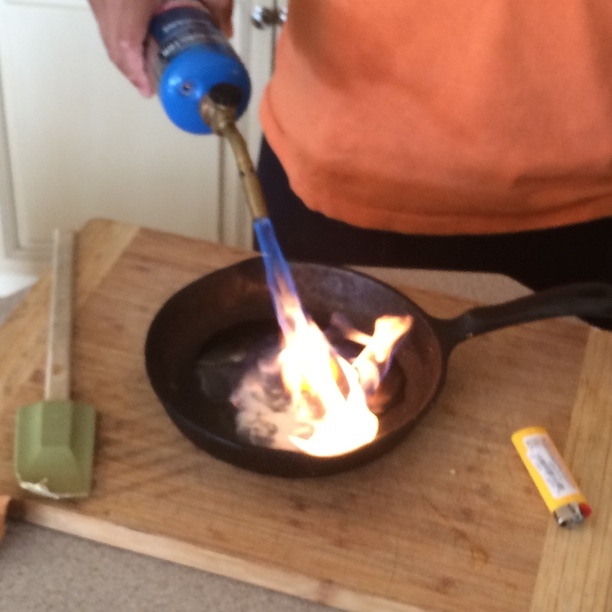 I’m awful with cleaning up, so that blowtorch was on my kitchen counter for a while. And since it was readily available, I figured why not use it for other dishes. This recipe is from Thomas Keller, whose Napa Valley restaurant is considered one of the finest in the world. (I like to think of Keller as the best chef not named The Food and Wine Hedonist.) Whole rib roasts usually need high heat to get that flavorful dark brown outside. But what happens is since the heat cooks it from the outside in, only the very center of it is at medium-rare. Using the blowtorch gets the browning started and then allows you to cook at a lower temperature to get more pink from edge to edge. This is surprisingly pretty easy, so definitely go for it! Shanking it is completely optional. 2. Blowtorch the meat on all sides until the surface starts turn grey. Season with salt and pepper. 3. Place in a roasting pan with a rack and put it in the oven for about two hours. 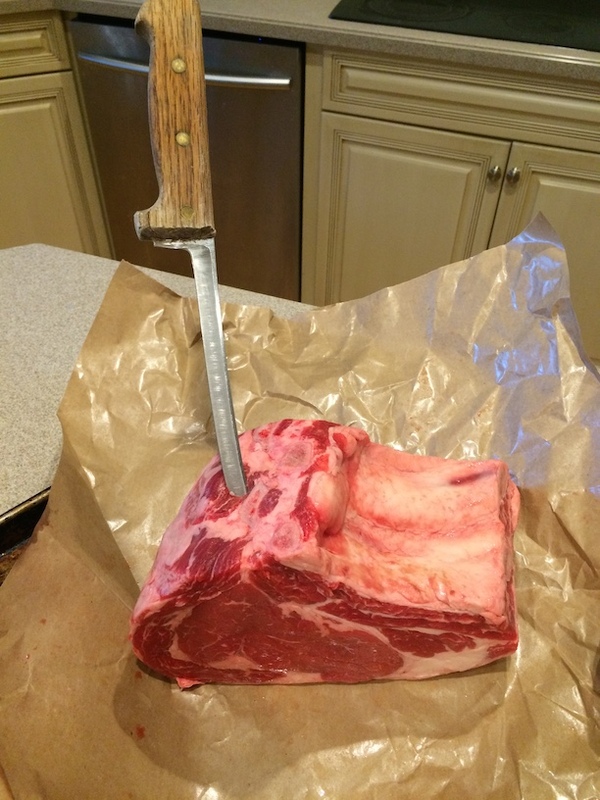 When the meat hits 128 degrees, take it out and let it rest for 30 minutes. It’ll continue to cook until medium-rare. 4. Carve and sprinkle with sea salt and pepper. Manliness Factor (out of 10): 9. Need I remind you that we’re talking about a big hunk of red meat and a BLOWTORCH! The only way you can get more caveman than that is to use only the blowtorch. But who has time for that when there’s great TV shows like Glee and Downton Abbey? 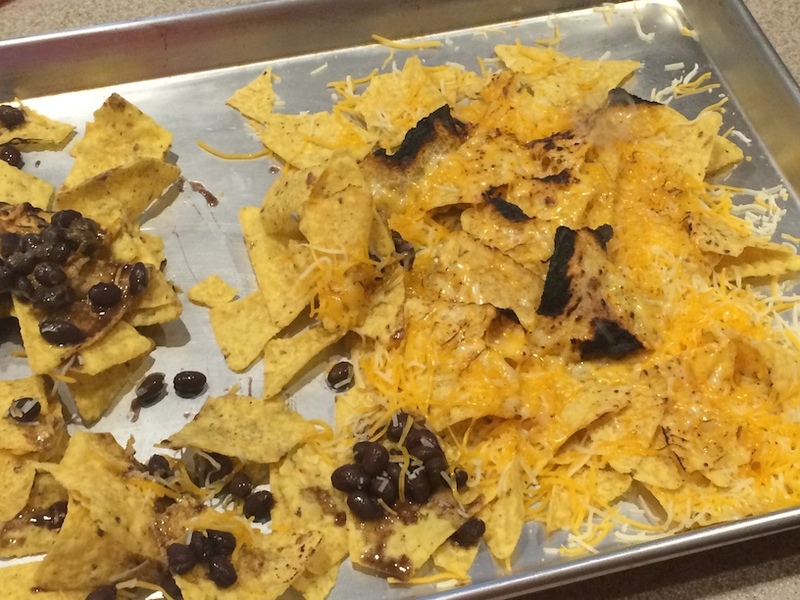 Sometimes for a snack I spread some black beans and cheese over some tortilla chips and throw them in the oven until the cheese melts. 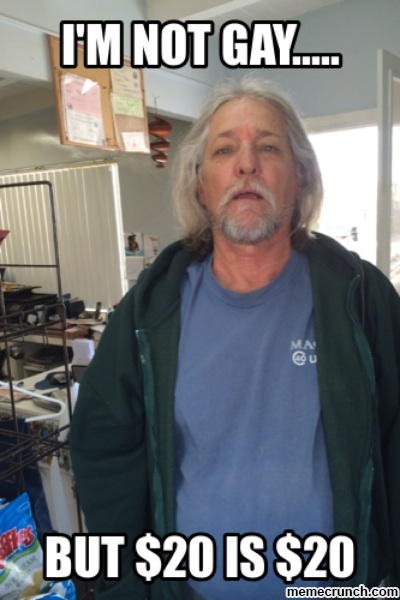 This time – BLOWTORCH!! This was working fine until the chips started to catch fire. 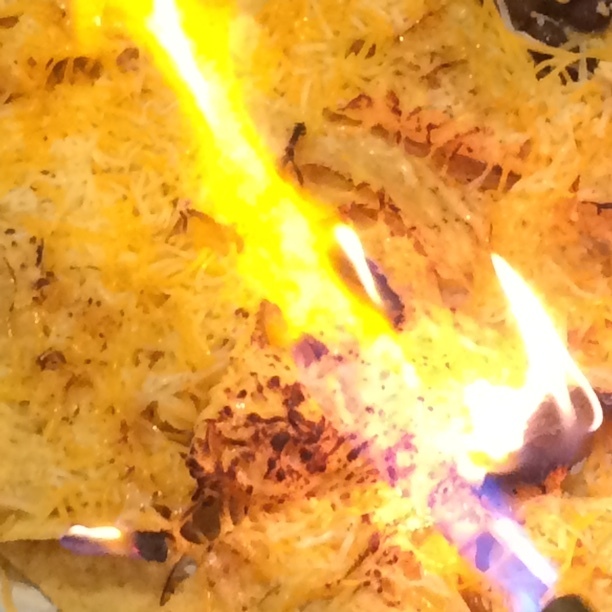 The end result was a bunch of burnt chips with half-melted cheese on top. I tried to call it “Cajun” but the kids didn’t fall for it. Manliness Factor: 6, if you do it right and gently warm the cheese. 9 if you just go all Robert DeNiro on it. 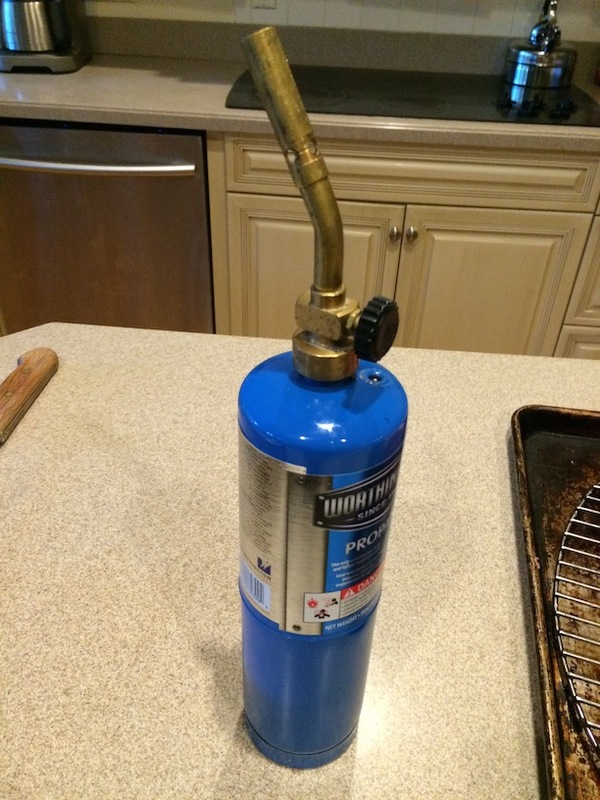 I tell people that the reason I even have a blowtorch is for plumbing work. That’s only partly true. The reason why I bought it in the first place is to make this sinfully tasty dessert. 1. Preheat oven to 300 degrees and boil a pot of water. 2. 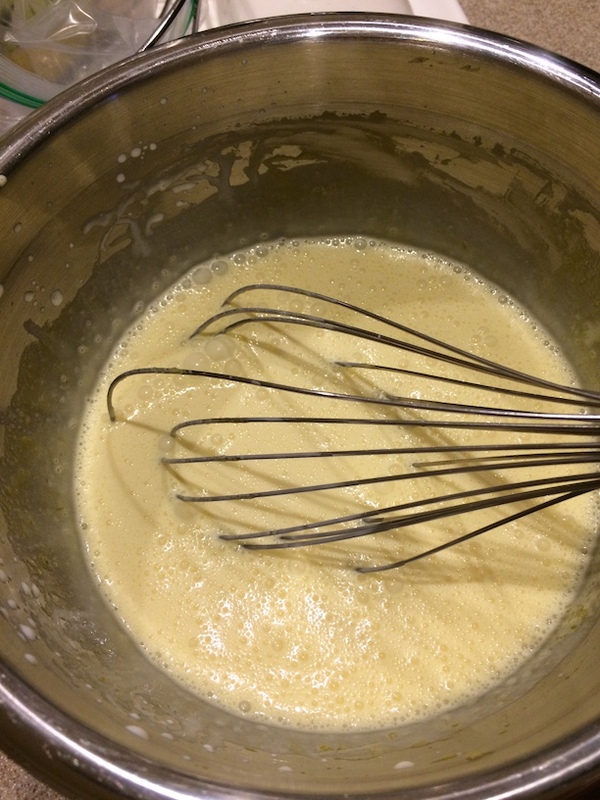 Whisk the egg yolks and 1/3 cup sugar until sugar is dissolved. Add cream and vanilla and whisk well. 3. Strain the mixture into a large bowl and take off any foam. 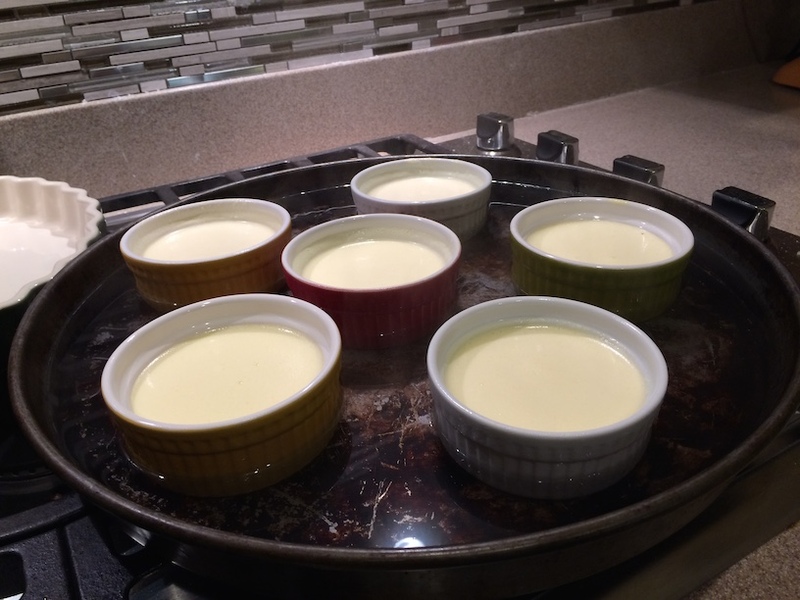 Pour into 4-6 ramekins (depending on how big yours are). 4. 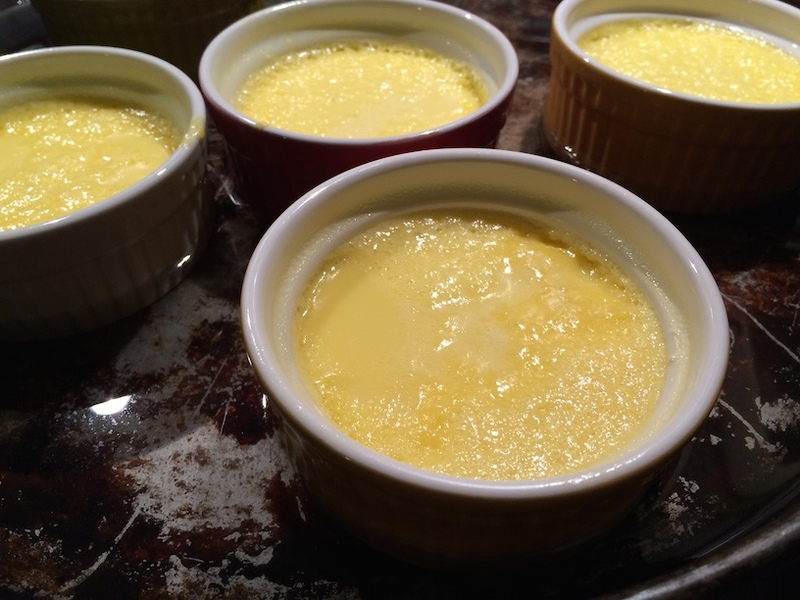 Place the ramekins in a larger baking pan and fill the pan with a half inch of boiling water. This will allow the custards to cook evenly and gently. 5. Cover foil and place into oven for 40 minutes. They will be firm around the edges, but still soft in the middle. 6. Remove from the oven and let sit in the water for an hour to cool down. Chill for at least two hours. 7. 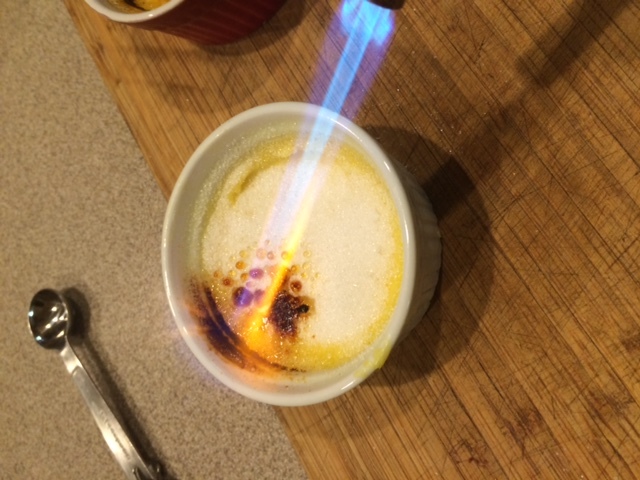 Right before serving, sprinkle two teaspoons of sugar on top and go to town with the blowtorch. 8. The sugar will melt and then turn into a brown crispy shell. Manliness Factor: 2. Mainly because this is a delicate French dessert. BUT WHO CARES!?! It’s absolutely delicious. Because… why the hell not! 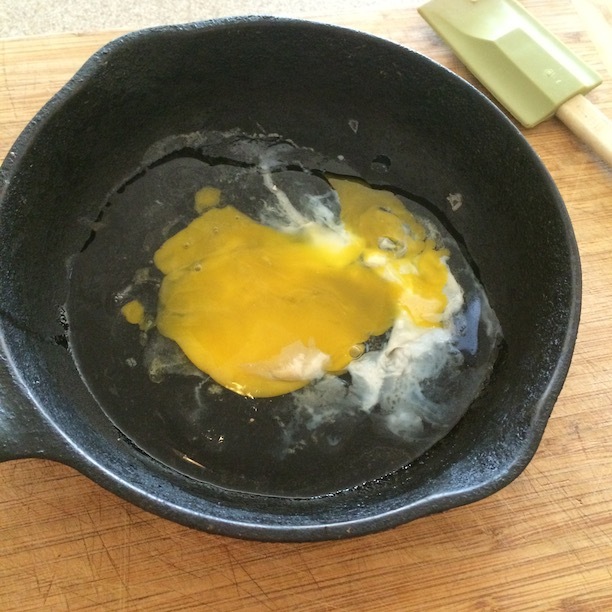 I started by melting some butter in the pan, then started to go to town on an egg. I ran out of damn propane. Manliness Factor: 11. Even if this was successful, only a meat-headed lunk would think this was a good idea. So do I feel like more of a man now that I went through a whole can of propane? Did I redeem myself by tapping into some primal caveman self that’s hidden beneath my mild-mannered surface? I have to think for a moment if I want to compliment you on this article. Maybe you have to change your moniker to The Food and Wine Arsonist. Yup- nachos, puts you leaps and bounds above TK’s skills. That manliness factor would go up if it was a torch for which you needed two hands to hold it at least. Or even better, with a tank on your back. Alas, home depot wont sell me such devices. This entertained me greatly. Hunk of meat and a blowtorch. I give you major manly points personally. yuummmm. Wanting that creme brûlée! 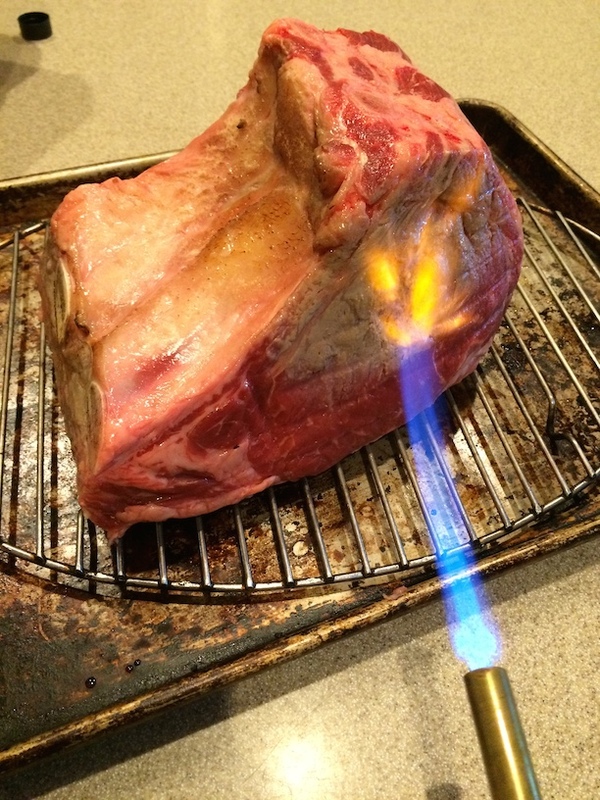 Omg YES to beef and a blow torch! 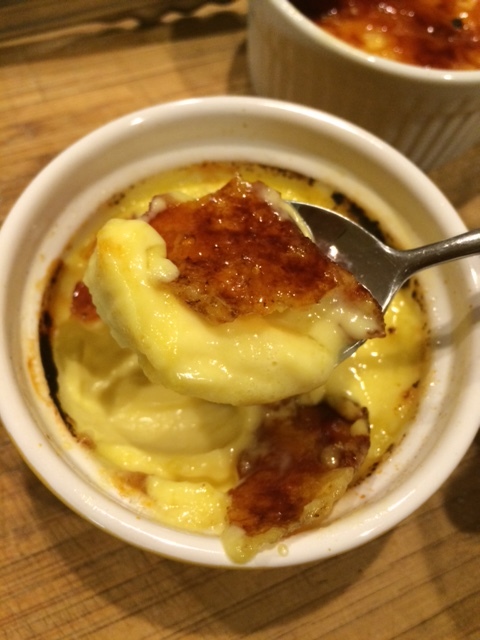 And creme brulee! 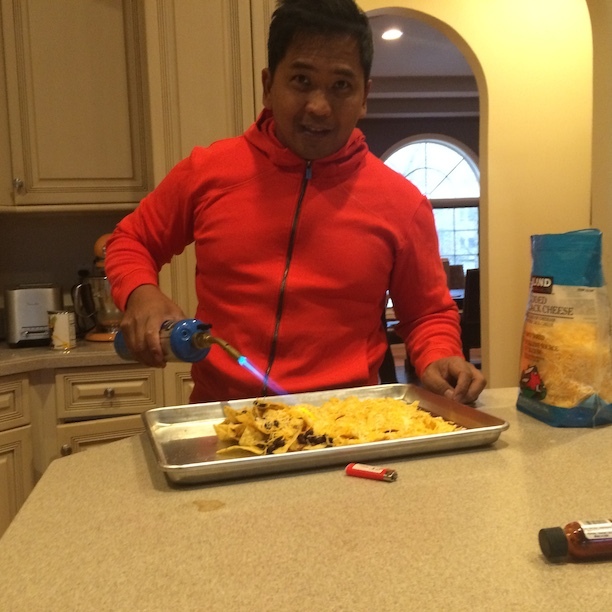 I love the nachos flambe haha : ) Great post – I need a blow torch! All you need is ten bucks. And a dream. 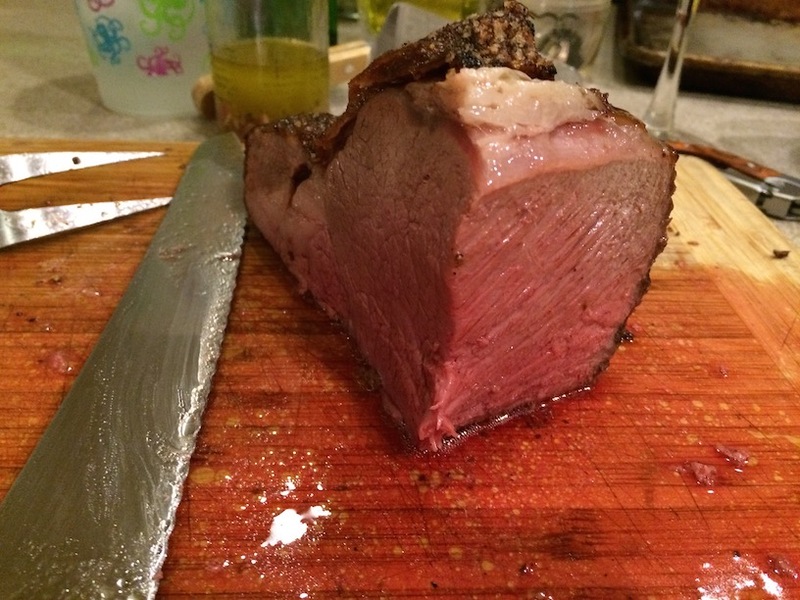 That said, we may need to upgrade because now I want to have that prime rib roast and I doubt he’d object to blow-torching the crap out of one before cooking it. Get the home repair one! As i said to soneone else – all you need is $10 and a dream. I used to work at Williams Sonoma and didnt like those food ones. But i did sell dozens of them to guys for cigars. Perfect for windy rounds of golf. This entry was posted on January 26, 2015 by thefoodandwinehedonist in Cooking and tagged fire, food, humor, movies, recipes.